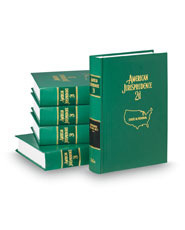 This set is alphabetically arranged in more than 400 topics or chapters. It provides prompt answers to client questions, helps propose sound courses of action, and provides a quick look at unfamiliar areas of the law. A new Topic Service Binder reviews new areas of law until they can be placed accurately within the set.